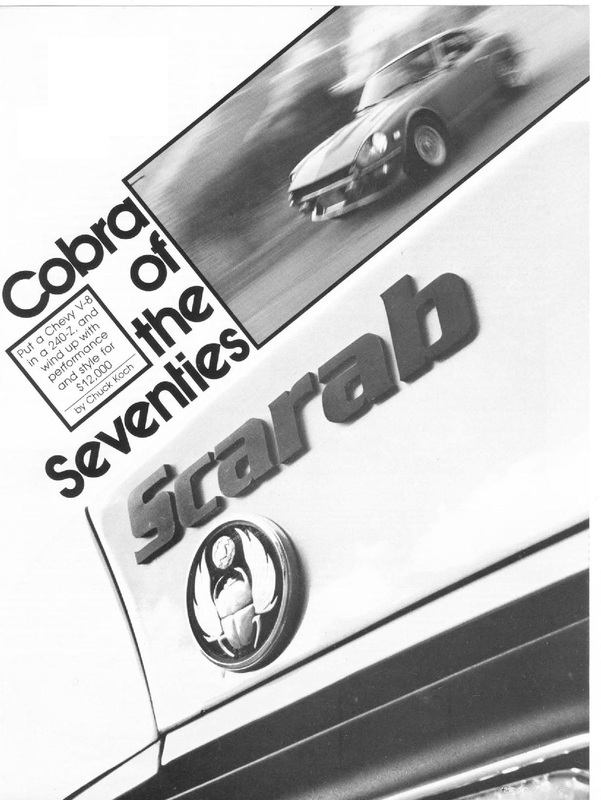 Since the last Scarab Z article was so popular, let’s keep it rolling. 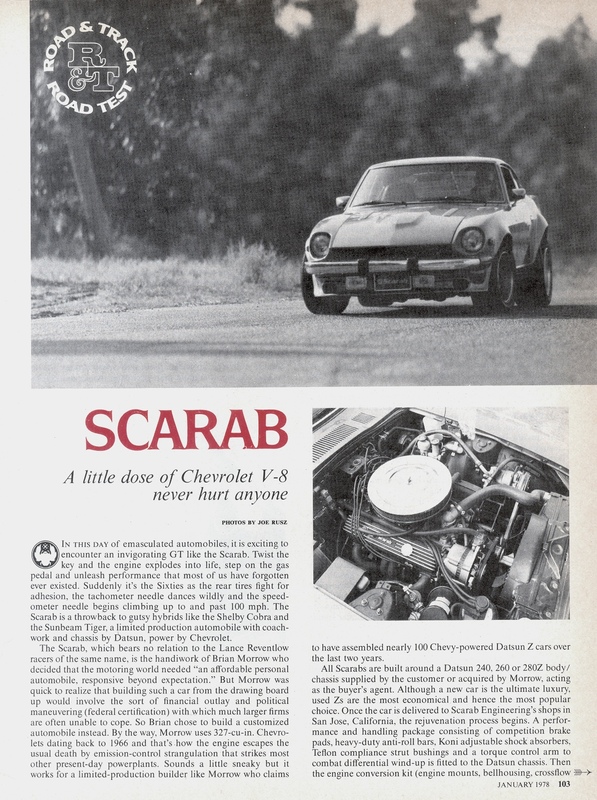 In February 1976, Motor Trend tested and reviewed the Scarab. 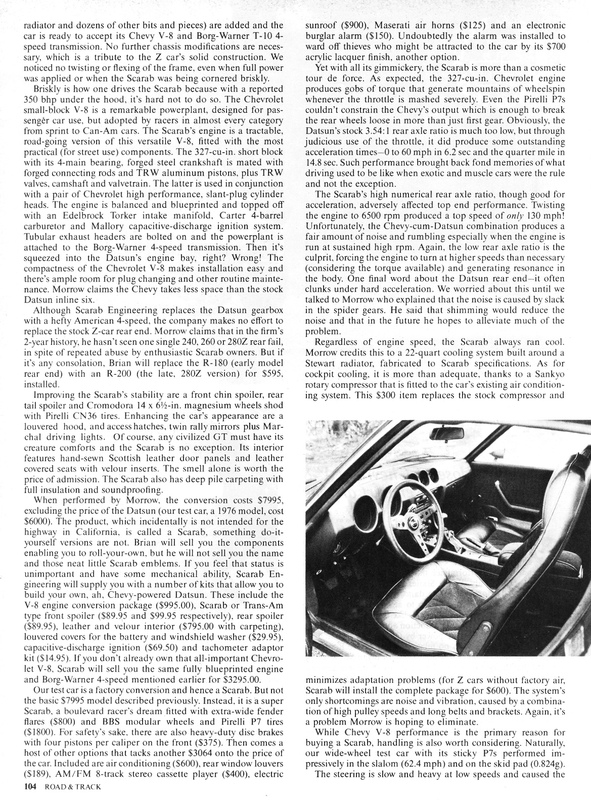 The article is great, the pictures are incredibly 70’s-cool, and it fills in some of the blanks left by the previous article (http://datsunforum.com/the-scarab-legend-the-original-hybrid-datsun-z/). What I found most impressive was the discussion on braking. 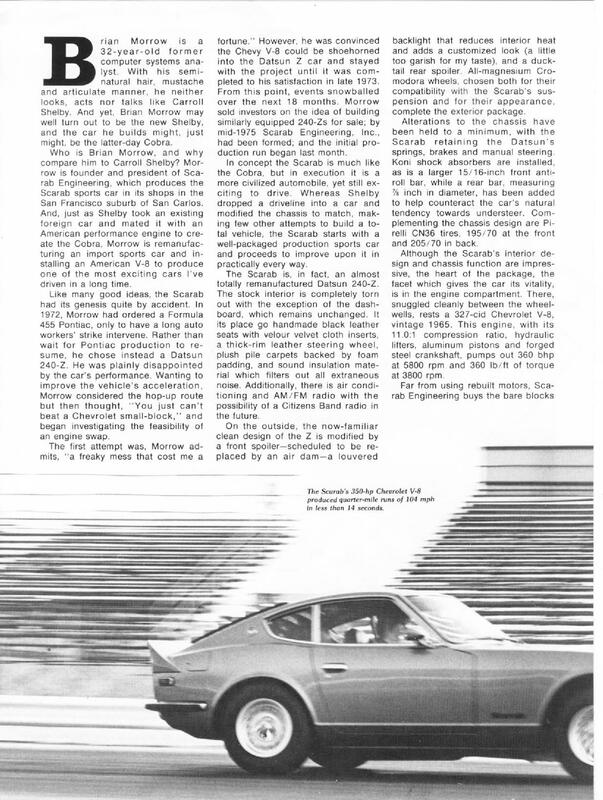 Despite more than doubling the factory horsepower, stock braking hardware was retained… including the oft-maligned rear drum brakes. 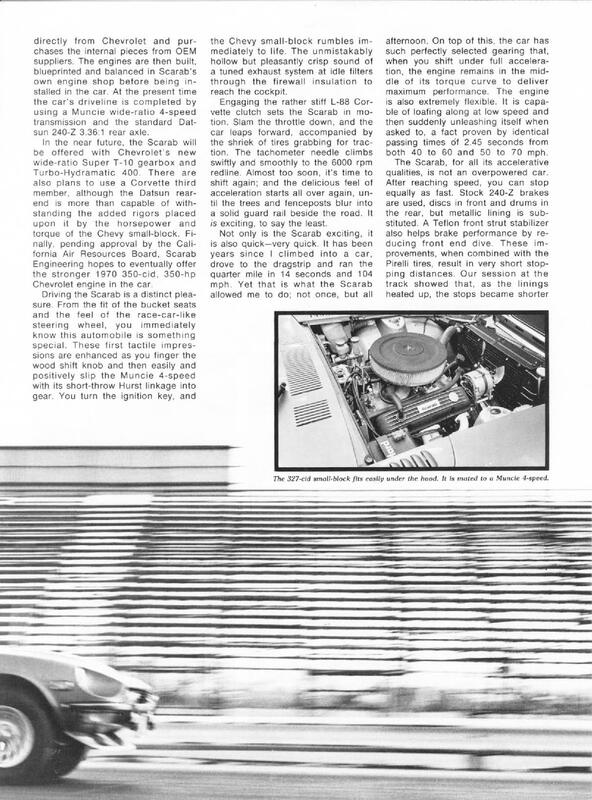 The only concession made to improving brake performance was metallic linings. No big deal, right? Check THIS out: Their testing showed a 60-0 braking distance of 122 feet. When you consider a 2005 G35 Coupe with the Brembo package does it in 115 feet and a 2008 Corvette Coupe takes 116 feet to stop from 60mph, the Scarab Z’s braking looks downright amazing (and all without the benefit of modern, wide, sticky tires or ABS)! Hope you guys enjoy the scans – Click for full-size. 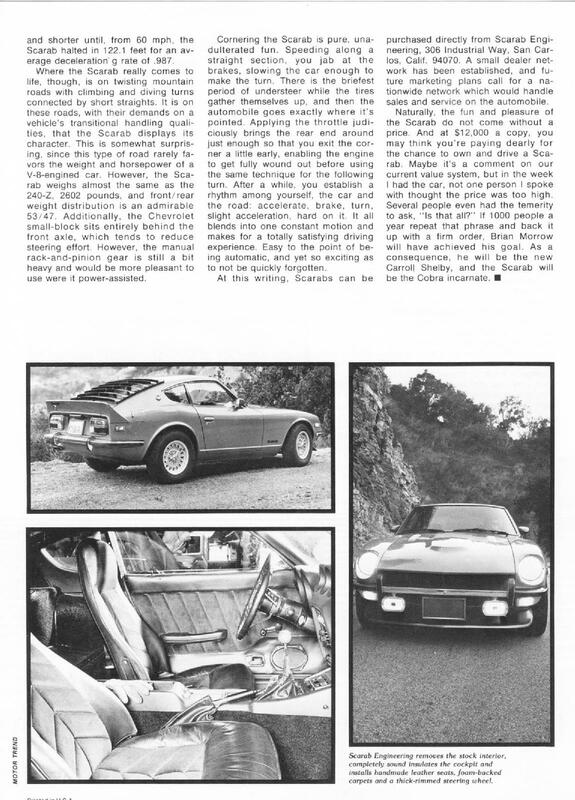 Here’s another one – This one is from the January 1978 issue of Motor Trend. 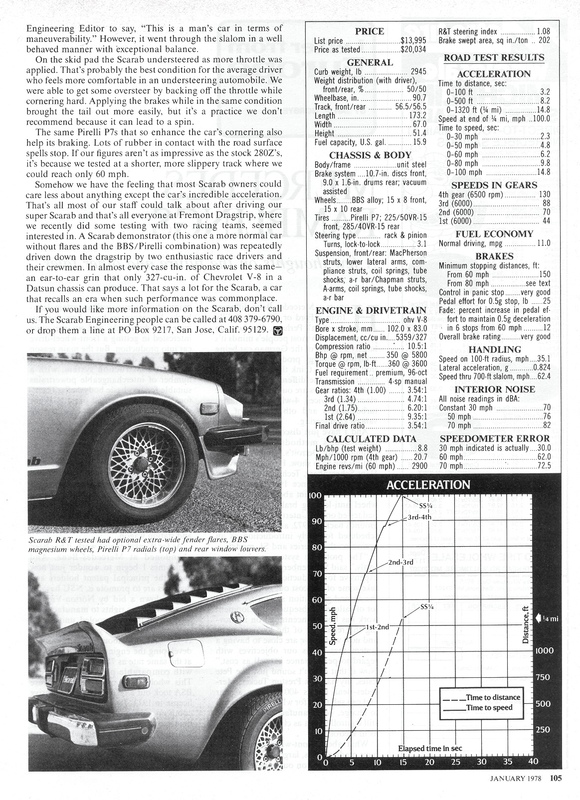 By now, emissions requirements were about to doom Scarab… but for a lucky few, a legendary Z was still within reach.